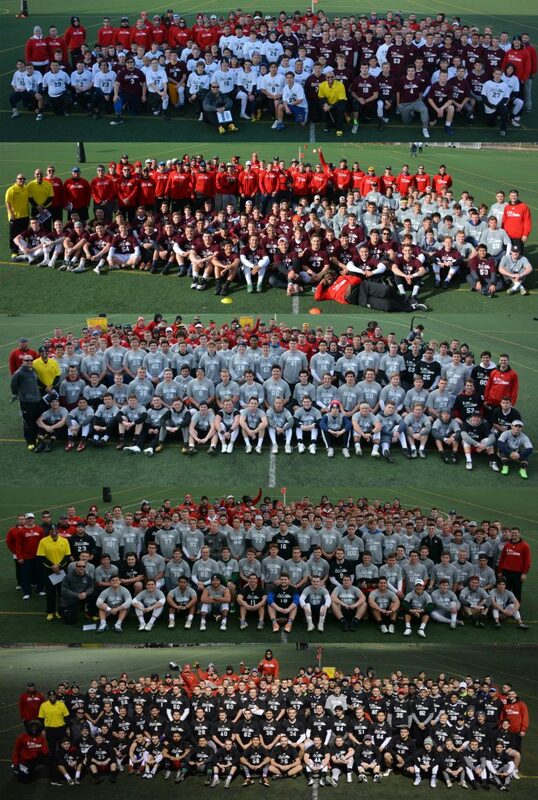 For the past couple weeks, you have been watching the TOP 12 Camp Invited Long Snappers get chosen one by one. Daily, you stared at your Twitter feed, Instagram or Facebook waiting for the inevitable clues to be dropped. Each day, a couple people were ecstatic while countless others felt the opposite emotions. A couple days ago, the final members of the TOP 12 Camp Invitees were announced and a balloon was popped for many 2020 and 2021 Long Snappers. Now what? You need to use this as motivation to make sure you perform better. This is all up to you. The choice is yours. If you are a Long Snapper that strives to be the best, you want to be at that TOP 12 camp during the summer. Any single athlete that has been there (scholarship Long Snappers, All-Americans, NFL players) will tell you it is, by far, the best camp they have ever been to in their life. What you need to do is get back on the horse. Work smarter and harder. 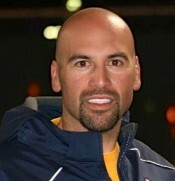 Many great Long Snappers did NOT make it simply because in Vegas they didn’t feel they could. They did NOT have confidence. They were HOPING they would snap well instead of KNOWING they would snap well. Sound familiar? Just because you didn’t make the TOP 12 does NOT mean you are a bad Long Snapper at all and that you should just stop. It means that you need to work harder and smarter at VEGAS XXXIV to be selected to the next batch of TOP 12 Campers to be invited. Remember, I will be choosing twenty more there and then those forth will be narrow down at the camp to see who really is THE TOP 12 LONG SNAPPERS. You need to knock my socks off. THE RANKINGS CAN BE ADJUSTED ANYTIME I SEE YOU LIVE. You need to show everyone this spring as I pass through the country that you are the best. Dominate. Know you can do it AND do it! The best of the best ALWAYS step up. 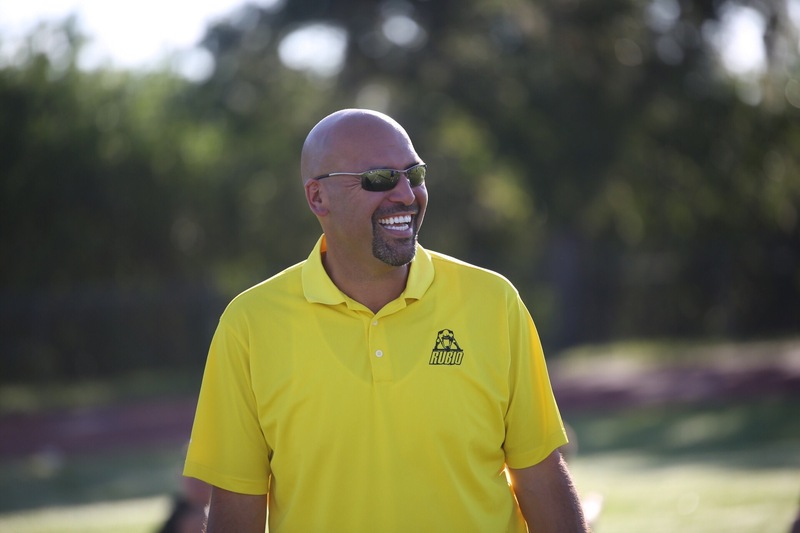 In just 13 years, Chris Rubio, President and Owner of Rubio Long Snapping, has become the #1 Long Snapping instructor in the country and the go-to man when a college coach needs a Long Snapper. Colleges from across the country rely on “Rubio’s” word day in and day out on who the best Long Snappers are in the country. 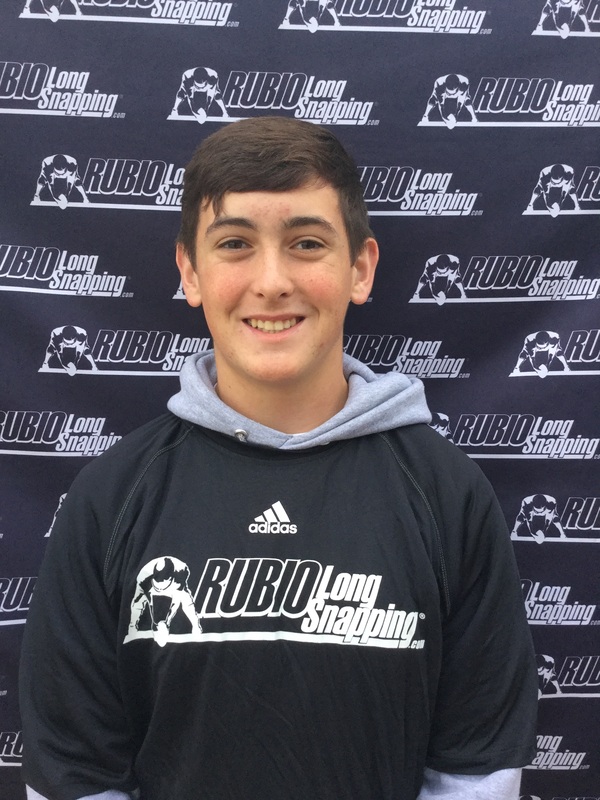 Rubio Long Snapping has assisted in over 300 Long Snappers earning FULL SCHOLARSHIPS to major colleges and universities just for Long Snapping and many into the NFL as well. Rubio Long Snapping has always been about the athletes above everything else, the unmistakable #1 priority. Our mission is to deliver the very best technical training to fuel growth and development as a Long Snapper, and secondly to provide and the best possible exposure to NCAA and NFL Football Coaches and Staffs. It is a rather simple formula. We provide the framework for athletes to grow their Long Snapping skill through drills and exercises that translate into technique, accuracy, and speed over time. The more frequently we have the opportunity to work with Long Snappers at Regional and National Camps the faster we see the development typically. However merely attending camps alone will not work, it is the dedication to hard work in between camps that will pay the greatest dividend. As the athlete grows and develops, Rubio Long Snapping creates awareness and exposure to NCAA and NFL Coaches through our personal relationships, our website, and via Social Media better than any other Long Snapping instructor. Camp attendance is the basis for us being able to document growth and development through video, competition results, and rank athletes within each class. Rankings are based solely on how the athletes at every camp perform and compete with their peers, those who attend more frequently give themselves the most chances succeed and thereby climb the rankings. That being said, Rubio Long Snapping fully understands the enormous commitment that it takes to get your athlete to Regional and National Camps. It is a huge commitment and investment of time and money. 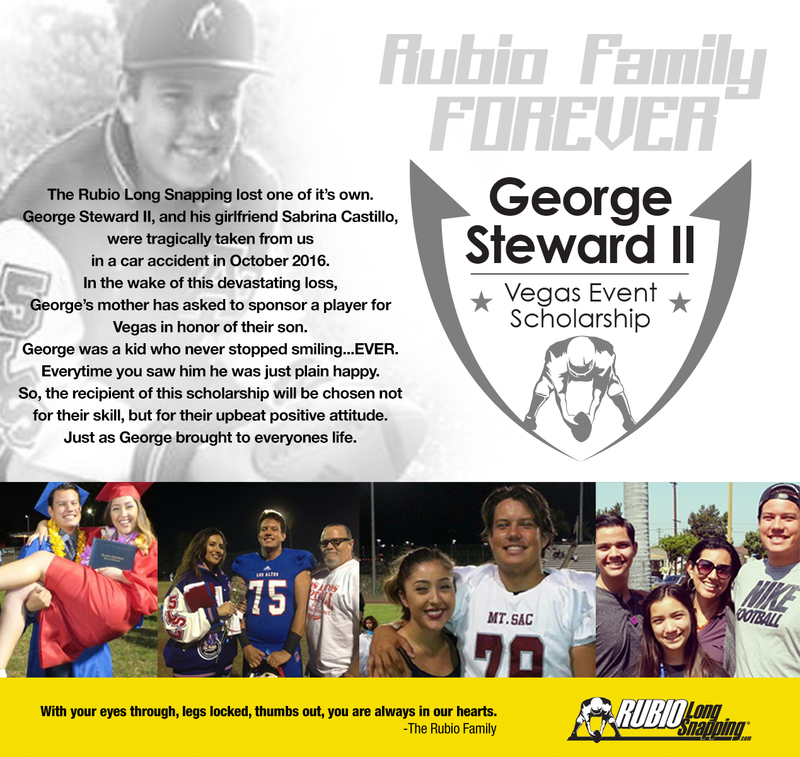 And while Rubio Long Snapping is in fact a business, it has always been about the athletes first and foremost. So in an attempt to help provide athletes and their families with the greatest possible access to Regional and National Events we would like to announce the 2017 / 2018 Rubio Long Snapping All Access Program. 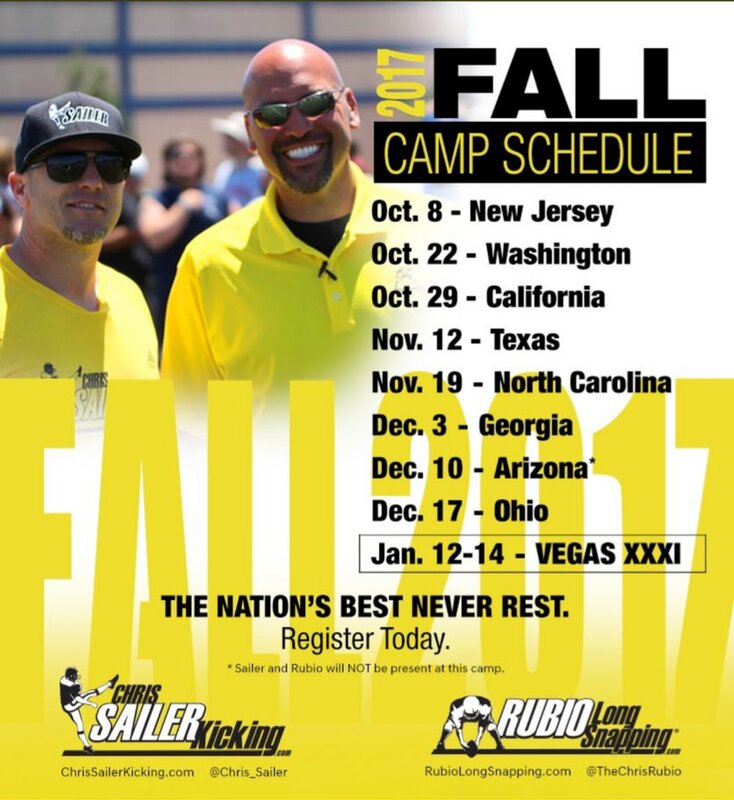 Starting with our 2017 Fall Camp Schedule, our Rubio Long Snapping Families will be able to pay one flat cost per year for their athletes to attend all of the Regional and National Camps they would like for one fee. This new program will cover Fall, Spring, and Summer Camps (in any city / state) and both the January and May Las Vegas Events. 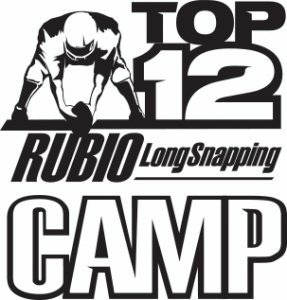 The Rubio Long Snapping All Access Program will start with the Fall 2017 Camps and run through the Summer 2018 Camps. The only camps this program will not include are The Top 12 Camp and the Underclassmen Invitational, those camps will be separate costs to attend. This program is a direct result of feedback from our Rubio Long Snapping Families, and we are thrilled to offer it. We hope it is an accurate reflection of how we feel about having most opportunities to develop Long Snappers in the coming year. Here, in alphabetical order, are the RSI scores from VEGAS XXIX! The top 12 scorers (found in bold below) advanced to the finals. Below are the 40 yard dash times from the VEGAS XXIX Event that took place on January 14th-15th, 2017. Athletes are listed in alphabetical order. The Prep Camps will now be run from 8:30 am to 12 pm and will be specifically formatted to get the Long Snapper completely ready for VEGAS XXIX. You will literally do everything at the Prep Camp as you would in VEGAS. The day will be quicker and the cost will be lower. See you soon and be ready for the biggest and best VEGAS, ever! BIG Changes to the TOP 12 Camp! As you all know, at every January Vegas Event, Chris Sailer and I choose the TOP 12 Long Snappers, Kickers and Punters. Then, at our May Vegas Event, Sailer and I choose the “Event Elite” which is made up of the top Long Snappers, Kickers and Punters over the weekend. Together, they combine and form the exclusive TOP 12 & EVENT ELITE camp during the summer. This is the cream of the crop talent wise and over 90% of these athletes end up in college with many headed off to the NFL. This year, things will be different….MUCH different. In order to create the maximum amount of targeted exposure for our athletes we have decided to make a few changes. These new changes will allow us to showcase which Long Snappers, kickers, and punters are truly ready to compete at the next level. At each of our Vegas Events, Vegas XXIX and Vegas 30, Sailer and I will select 20 athletes that dominated each camp and we feel could potentially be ready for the next level. We will also have a maximum of FIVE Wild Card invites each that we can give throughout the year. Our choice. Any camp. All on us and what we have seen and/or read about throughout the year. As soon as each Long Snapper, kicker, or punter receives their respective invitation to this prestigious camp, they will be mailed a black shirt with yellow writing. At the end of the camp, when we unveil the TOP 12, each one of those campers will receive the elusive yellow shirt AND a full special outfit designed by Adidas specifically for those campers. Now, we will REALLY get to see who are The TOP 12 of Rubio Long Snapping and The TOP 12 of Chris Sailer Kicking! 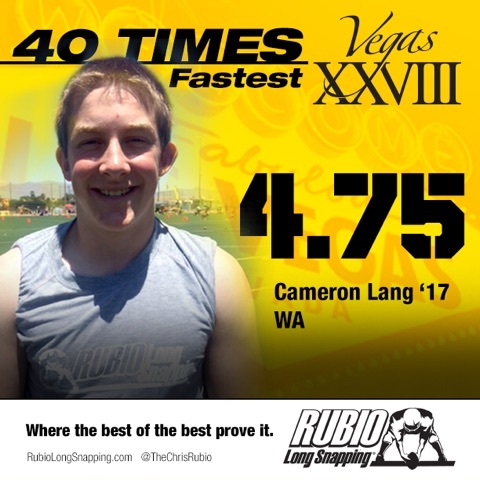 Here are the 40 yard dash times from the Rubio Long Snapping VEGAS XXVIII Event on May 21-22, 2016. Be ready, it will be here in just over 230 days!!!! 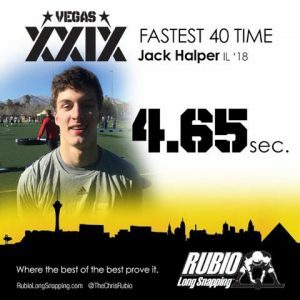 VEGAS XXVIII (the 2nd largest Long Snapping event in the world, our January event is the 1st) is taking place on May 21-22, 2016 and there are a couple key things to know as we head into that weekend. CONFIRMATION EMAILS with basic details of the weekend will be sent out on Monday, May 16th. Be on the lookout and if you are registered, but don’t get one, let us know ASAP! The VEGAS XXVIII PACKET (this will have ALL of the weekends information in GREAT detail) will be emailed to you as a PDF on Thursday, May 19th. This will be your baby for the whole weekend. We decided it was best to let you have them as a file in your email, instead of printed out for several reasons (no need to make copies, you can’t lose this one, it will be on your phones which are always with you). We will NOT be printing any packets out so if you do want it printed out, you will need to do that yourself. 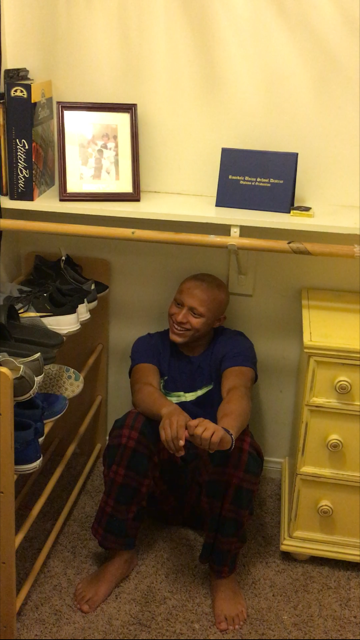 A couple weeks ago, a Rubio Long Snapping mom named Ashely Culbertson asked if she could put together a survival guide for the parents. She stated that there is a ton that goes into being a parent at the camp and lots of stuff to be said. Given, I said “Let it rain!” and she did. TREMENDOUS job by Ashely and definitely something to sit down and soak in. Quick Reference for the BIG Questions to the Little Questions Most Parent/Guardians of LS and K/P have. I’m just a mom. It sounds funny to say that out loud, as any parent knows being a parent is not for the faint of heart, so using the phrase “just a mom” is a HUGE understatement. Equally understated is to use the phrase “just the long snapper/kicker/punter.” So, go ahead and move past the “just” and recognize the vitally important role your son (or possibly daughter, but for the sake of time and space I’ll refer to the student athlete in the male form) plays on his team. Special teams, and specifically the long snapper and kicker/punter have, can, and will make or break a football game. 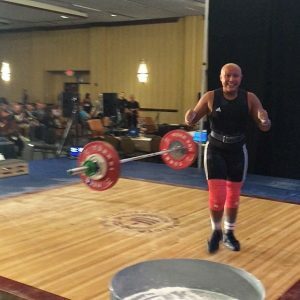 I encourage you to go to www.chrissailerkicking.com and read more in depth blogs on this subject via the link to Rubio’s blog and Sailer’s blog. Another quick and extremely relevant example would be the 2014 college football season during which both regular season and bowl games had outcomes determined by the performance of special teams in the last few seconds. Now, moving forward, I’m just a mom and my kid’s just a long snapper, and the past year and a half has been one of the most exciting journeys…EVER…so buckle up buttercup, here we go! 1. This is typically the one day camp that is held closest to you. You probably googled long snapping or kicking instruction/technique, or heard of Rubio and/or Sailer by word of mouth, and now you’re all signed up for your first Rubio/Sailer Camp for your son. **Prepare to be blown away. ** We were. 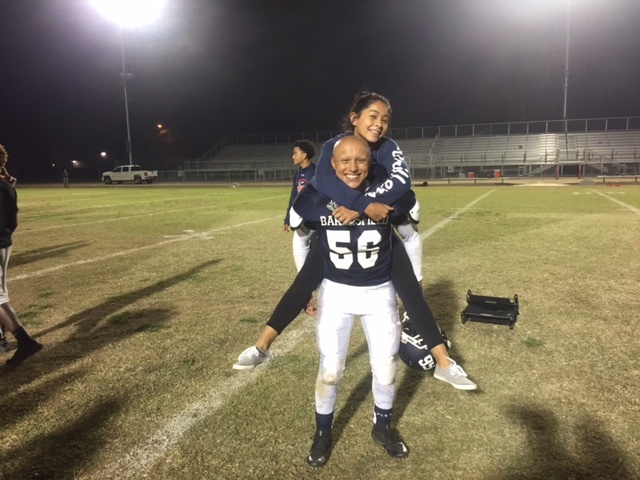 My son had just finished his freshman season, having been pulled to the varsity team and become the starting long snapper for his high school football team. His high school is known for its football program in our state, and my son became a really big fish in a small pond literally overnight. He loved it. 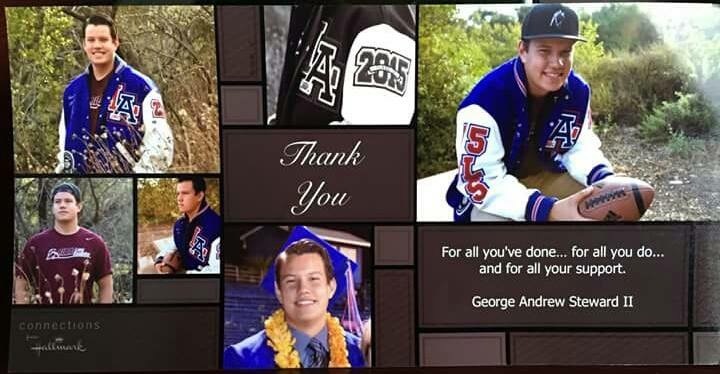 We, his parents, thought he was the best thing that had ever happened to long snapping. Once we got to that first camp, the “pond” suddenly got much, much bigger. That’s not to say my son wasn’t good, what I mean is we saw very quickly that if he wanted to get serious about football and college, there was work to be done. -This may or may not be your experience and that’s okay. Every situation is unique, and it’s important to take the suggestions that help. -You are going to be given A LOT of information. Relax! (You’ll find this to be a recurring theme throughout this experience.) Give it time and it will sink in. Also, Sailer and Rubio are two of the most open and receptive individuals/professionals when it comes to questions. A quick tip, though- after this first camp, when a question comes up, go to the website first. If you still can’t find an answer you are looking for, ask! 2. What do I need to take for camp? Sounds a bit silly, but until you’ve been there, done that, (and now can even get the t-shirt), there are things I definitely would recommend having on hand that I never thought of in the beginning. -Wear comfortable clothes and shoes. You will be very involved in this experience and while I love my cute sandals and sundresses as much as the next mom (comfortable clothing applies to dads as well; choose clothes you’d wear when at home working with your son), this isn’t a beauty pageant. Get out your socks and tennis/running/athletic shoes, shorts, and a t-shirt and be ready to work and learn with your son. -Bring a chair, you’ll need to be in close proximity to the instruction. Usually that means on the sidelines until Sailer or Rubio call parents to the field. Standing all day or sitting on the grass/turf isn’t ideal. -If possible, bring a cooler with water. Water is ALWAYS provided, but if you’re at a camp in the heat of summer, a small cooler (even the soft, foldable ones) that can carry water bottles with ice/cold packs definitely comes in handy. Your athlete should be hydrating daily. The reality is, so should parents. If you or your athlete waits to take in water until thirsty, you’re doing it wrong. HYDRATE, HYDRATE, HYDRATE! If the camp isn’t close enough to drive to and you are flying, Google the nearest Dollar Store, Dollar General, WalMart, Target, etc. It’s worth the extra ten dollars to have cold water on hand. -Sunscreen. You and your athlete will be outside (weather permitting) for the better part of eight hours. Even if the camp you and your athlete are attending is during one of the cooler months, you may need sunscreen. If it’s a summer camp and you enjoy having a nose, it’s a must. -You are going to have about an hour for lunch. Be prepared. Google restaurants close by that you can get in and out of quickly. Another option is bring lunch with you- think tailgating. This can be a good idea for several reasons: you don’t have to rush, your athlete has more time to relax and regroup, and you will likely have the opportunity to get to know others at the camp. It’s important to realize this group of young men will see each other again, and they are building friendships on the field, so build friendships with the parents around you. Be smart, though. If it’s 100* outside, go somewhere out of the heat for this break. Otherwise, I’m confident EMS will gladly take you somewhere cooler- just saying. -Bring your camera/phone. Rubio and Sailer are used to taking pictures with athletes at their camps at the end. Even if your kid isn’t big on pictures, DO IT. You’ll look back at some point and realize how far your kid has come, and you’ll be glad you did. 3. Why does Rubio/Sailer know other kids’ names/parents/families? Will they remember my son? Are they even watching them? -Don’t flip out!! Some of the athletes and their families have been working with Rubio/Sailer for years. Just because they know some of the athletes immediately doesn’t mean they aren’t watching your kid. In fact, you just might hear them called by a nickname that will stick (ex. BaconHead, Oregon, MadDawg). Your son may get a “big daddy” thrown his way. This happens because they ARE noticing your kid, and while in that moment they may not use your athlete’s full name, they use these kinds of nicknames because that’s one of the ways they remember the athletes. You may also notice that your athlete is being photographed and videoed…a lot. Relax, Rubio and Sailer are noticing your son from the moment you walk up to the registration table until the moment you leave that afternoon (likely dragging, tired, a little overwhelmed by all the information you’ve been given, and definitely excited and motivated for the future). -Remember the big fish/small pond example? This is when you’ll probably realize that while your kid is talented, so are many other kids. Again, relax. At the end of the day, your son has just learned from the best, trained with the best, and been evaluated by the best. Once rankings/evaluations are posted, your athlete is going to have his strengths highlighted while also given constructive criticism. This part of the process ideally will encourage, motivate, and drive your son to put what he has learned to good use if he hasn’t already. Rubio has an excellent blog that explains how his rankings are done, so, again, go to the website, click on Rubio’s blog and search for how his rankings/evaluations are done. It’s fair, honest, and really quite easy to understand. -Be patient. Believe me when I say I understand, patience is not one of my virtues. However, Rubio and Sailer will tell the athletes and parents a date their rankings will come out. If you aren’t already, you and your athlete should follow, friend, like, etc. Sailer and Rubio on all social media sources. They will let everyone know via their blogs and social media that the rankings are up. -Get familiar with social media- like yesterday. You will hear it, read it, and maybe wake up repeating it: Be sure your athlete is being appropriate when using social media. Colleges are watching and noting EVERYTHING your athlete is doing if they are a potential recruit. Think of it like Santa Claus (you better watch out…he knows when you’ve been bad or good so be good for goodness sake)- he’s everywhere! Does your kid want to play ball or lose a spot on a team over a retweet? If you don’t know what a retweet is, figure it out right now. 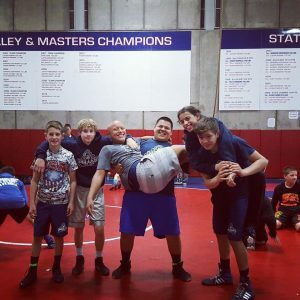 How often should my son attend a Rubio/Sailer camp? Isn’t once enough? What about Vegas? -When preparing to have our son, my husband and I put a great deal of time and effort into being sure he would have the things he needed to thrive. While my husband (as a new dad) was awesome at helping, and he could change a diaper, the first few weeks of diaper changes were pretty comical. Sure, our son had a diaper on, but with practice he had a diaper on that didn’t fall off when we picked him up. Another example would be when our son got his learner’s permit to drive. He was very diligent about safety, and could get us from point A to B. But with practice, he stopped using the brake like an on/off switch. The point is, your athlete will learn great things at one camp, but if his desire is to be the best he can be or to play football at the next level, giving him more opportunities to fine tune his skills is imperative. Yes, attend more than one camp. -While things like form, speed, accuracy, and consistency are themes that remain unchanged at each camp, I can say with certainty that my son has learned something new each time he’s attended a Rubio/Sailer camp. That could mean learning a new drill all the way to walking up to register by himself and displaying the confidence he is building in himself. The best analogy I can think of for this part of the process is much like when one learns to drive a car with a manual transmission. There’s that really fine, smooth moment you let off the clutch and press the gas pedal. In the beginning, most of us had those “herky, jerky” moments and had to restart, or have heard a parent yell “you’re grinding the gears.” If you only attend one camp, it’s probable that you and your athlete will approach most of the day together. If you attend a second camp, and you nudge your son to handle things himself, depending on the kid, it’s going to be somewhat “herky, jerky.” The more opportunities to practice and fine tune skills on and off the field, the smoother the transition will be for your son to become a confident and independent individual in a very positive way. 2. Vegas. If I could go back in time, I would have gotten my son to this event sooner. It’s honestly not something one can explain, it’s the experience itself. You will hear Sailer and Rubio say go more than once. ABSOLUTELY! The first time you and your son attend this event, it’s like the first day of high school as a freshman. Most of the time is spent figuring everything out (unless your son is a seasoned world traveler that never gets jet lag and is intimidated by nothing). If you’ve ever seen the movie “Hoosiers” (your son probably has not, but hopefully you saw it back in the day), there is a scene where the team makes it to the BIG championship game. They all walk in the arena looking like a bunch of deer in headlights. The coach has them measure the court, and so on. This is much like that first trip to Vegas. Your son will realize the distance to the target hasn’t changed, Sailer and Rubio haven’t changed, and get more comfortable with what comes along with traveling, navigating this mega event, etc. Is it (the camps) really worth it? 1. The easy, quick answer: YES! -If we are talking dollars and cents, as well as probability and statistics, then it’s a no-brainer. Add up what you would spend on the camps your son attends in a given year (everything- travel, food, hotel, camp, etc.). Nope, it’s not cheap. Now add up the cost of a four year education (and even pick a school with a lesser tuition, but add in staying on campus, a meal plan, transportation of some sort, etc.). You likely have just seen in black and white how beneficial this can be. -Do some research. Look at the options out there. It will quickly become clear NO OTHER CAMP offers the same degree of exposure, education, and instruction, AND educates/involves the parent/guardian (maximizing your athlete’s potential by giving him the tools to work hard and smart after camp is over). This is the real deal. -What your son will take away from the Sailer/Rubio camp experience is priceless on several levels. First, this is my son’s goal, his dream- not mine, not my husband’s- his. If this is your athlete’s passion, you will see great things; if it’s your dream and not your kid’s you’re doing it wrong- stop. Second, this is an awesome opportunity for your son to learn responsibility, confidence, and independence BEFORE he steps out into this big ole world on his own. If my son chose to never pick up a football again, what he has learned and gained is more than we could teach him on our own as parents, and that alone makes every bit worth it. Finally, the day I stood back with my husband and watched our son walk up to a college’s special teams coordinator, shake his hand, look him in the eye and have a conversation with him on his own, I knew we were on the right track. I cannot stress enough how essential the website (www.chrissailerkicking.com) is. Hopefully you’ve gained some insight and can relax and enjoy this awesome time with your athlete. It’s been one of the best decisions we have ever made. Here are the RSI and TARGET SCORES from the VEGAS XXVI Event on May 9-10, 2015. 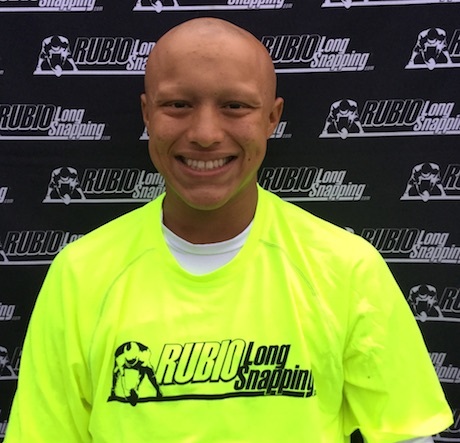 Each Long Snapper was tested on The Rubio Target. The RSI is their scores divided by their average speed. Each Long Snapper can receive bonus points for a faster average snap speed. The top 12 overall RSI scores advanced to the finals. The highest possible score on the Target is a 48. 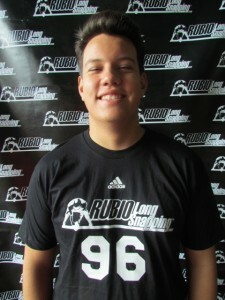 Thomas Fletcher had the highest RSI in the history of Rubio Long Snapping. 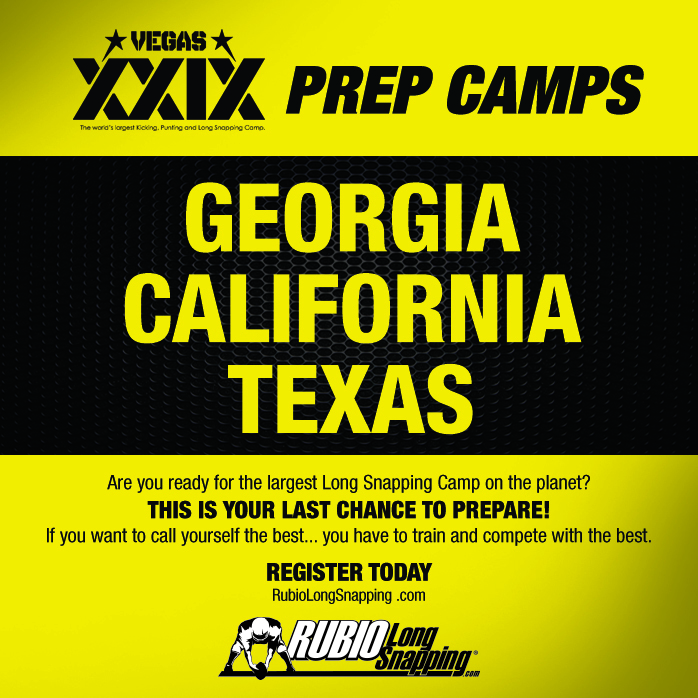 VEGAS XXVI (our May Event) is the second largest Long Snapping camp in the world. The first was VEGAS XXV in January. To truly say you are the best, you have to compete against the best. Here are the 40 yard dash times from the VEGAS XXVI Event on May 9-10, 2015. These are the averages of two 40 yard dashes run by the Long Snappers. The clock starts as soon as ANY part of the Long Snapper moves and stops as soon as they pass the finish line. Here are the RSI’s from VEGAS XXV in alphabetical order. 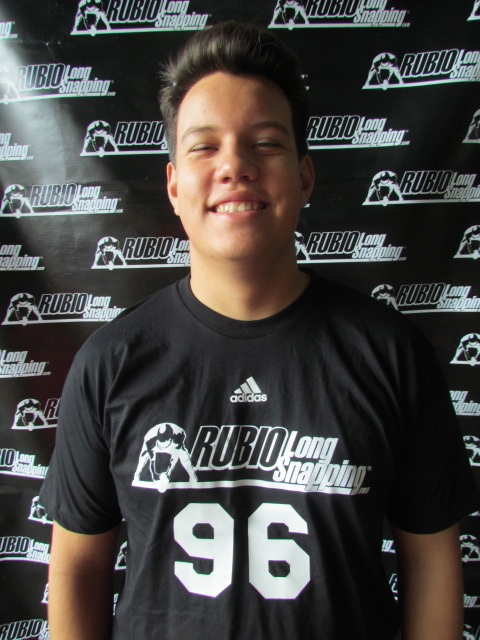 The RSI (Rubio Standard Index) is the Long Snapper’s score on The Rubio Target divided by the Long Snapper’s average speed. The Long Snapper may obtain two bonus points for an average time of .75-.79, two more bonus points for an average of .70-.74 and an additional 2 more bonus points if they average below .70. As I am sure everybody knows (well, everybody involved with Long Snapping), a Alan D’Appollonio of Arkansas scored a touchdown! If you haven’t seen this VERY creative play, it is a must watch. Alan attended several Rubio Long Snapping Vegas Events and ended up being a 5 Star Long Snapper that was ranked 11th in the country in 2011. Alan has always had tremendous athleticism and it looks as though the Arkansas staff has taken note. Congratulations to Alan and the Arkansas football team.